Walk up to spectator borrow their empty bottle and visually penetrate their cap into the bottle. To take it a step farther the cap is "Trapped" in the bottle, and before we forget to mention, the CAP IS SIGNED. If you have ever wanted to perform the classic visual cap in bottle effect without the use of a PK ring then Trapped is the effect for you. 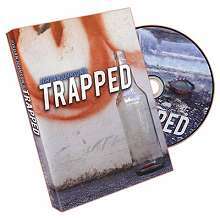 Trapped teaches several very easy methods to accomplish the cap in bottle effect, on the spot, impromptu, with borrowed bottles. 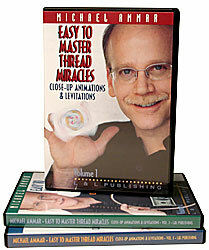 There are methods that are 100% impromptu, there are methods that require a very small amount of setup and there is a gimmick included that will make performing this effect way too easy. 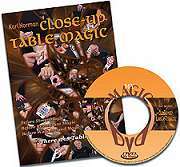 What separates Trapped from other effects on the market is that the methods taught on this DVD were specifically thought out for the person who wants to ditch the sleight of hand and focus on performing a simple close up effect that people will remember for years. 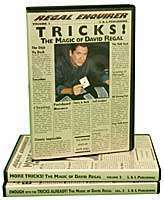 For those who like the sleight of hand, don't worry, we included some of that in there too. 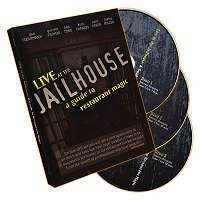 NOTE: DVD mentions that an extra unit of the gimmick has been included. The Vendor has since removed the extra unit.